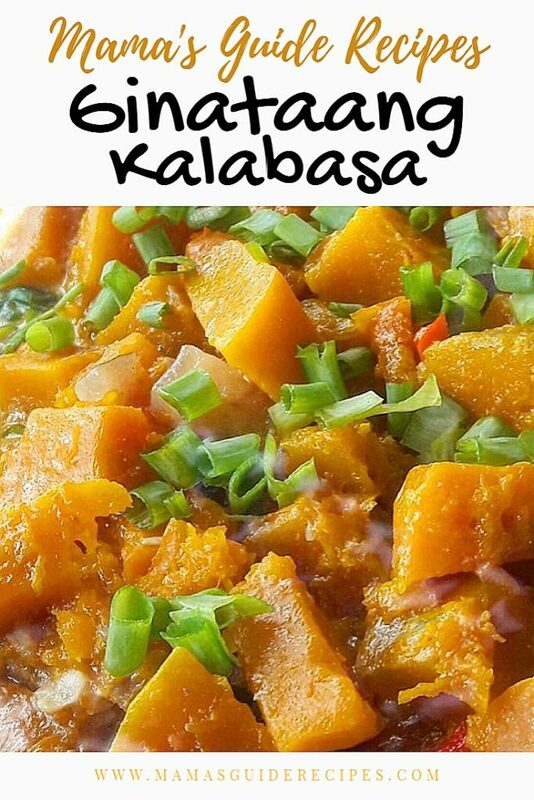 Ginataang Kalabasa or Squash stewed in coconut milk with baby shrimps or hibe. Simple Filipino lutong bahay, budget friendly and healthy for the family. In a pan, heat oil over medium heat. Sauté garlic, onions and season with patis. Toss to even out taste for about 1 to 2 minutes. Add in coconut milk and let it simmer over low heat and continue to cook for about 5 minutes or until slightly reduced. Add in squash slices and cook for about 3 to 5 minutes more until it becomes tender. Then, add shrimps and continue to cook for about 2 minutes until it changes in color. Turn off heat. Serve and enjoy!